Stewiacke has two trail systems within the community and a popular community park. 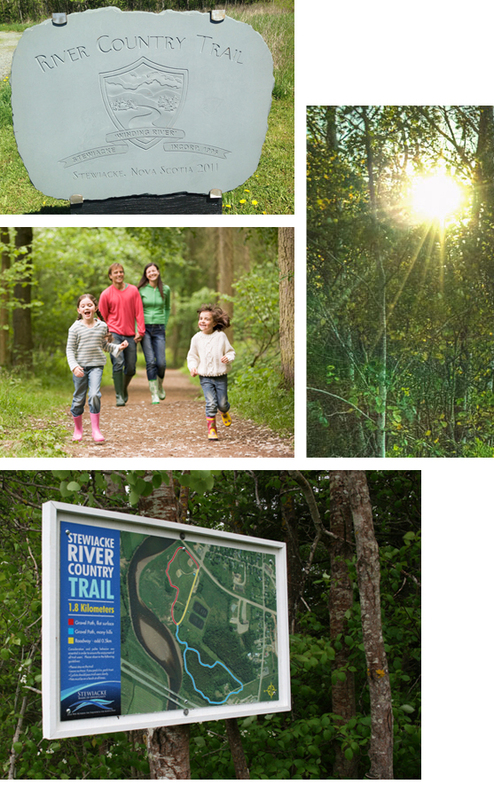 The Stewiacke River Trail is a 2.5km natural pathway connecting Mastodon Ridge to the Stewiacke ball fields. This scenic trail offers beautiful views of the Stewiacke River while you are walking or biking through the trail. There is an added loop surrounding the ball fields and as well as a loop back up to Mastodon Ridge. Visit the Town of Stewiacke website to learn more about the Stewiacke River Trail, the John Crawford Trail and Dennis Park.